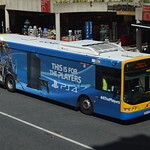 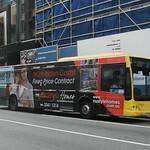 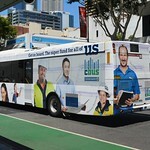 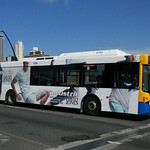 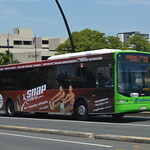 Like most transport operators, South East Queensland bus operators have had many all over advertising buses to earn extra revenue. 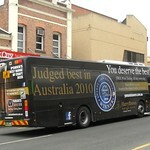 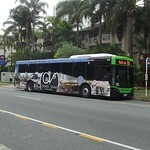 Here is a selection of AOA buses in no particular order. 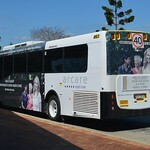 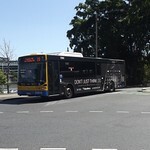 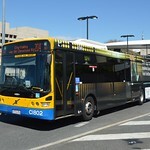 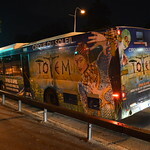 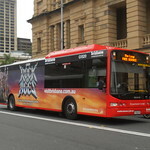 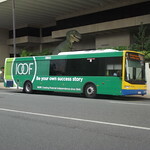 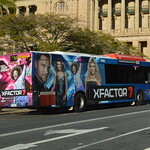 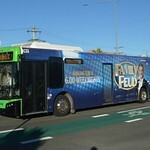 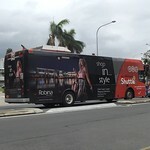 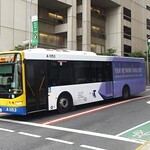 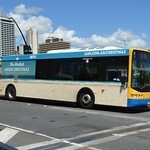 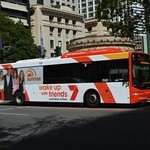 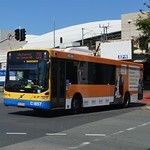 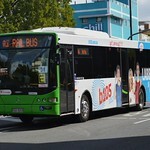 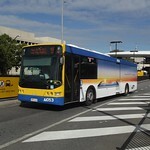 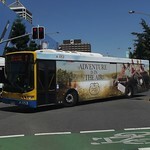 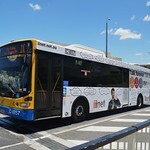 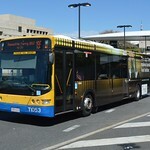 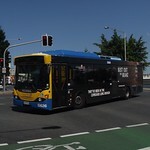 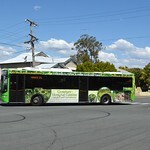 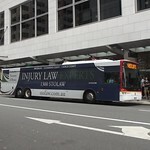 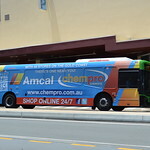 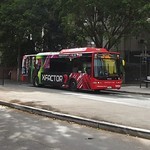 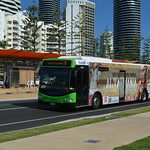 Scroll down to see AOA photos of buses from Brisbane Transport, Sunshine Coast Sunbus, Surfside Bus Lines Gold Coast,Gold Coast Tourist Shuttle, Hornibrook Bus Lines,Veolia Transdev Brisbane, Westside Bus Company Ipswich and more. 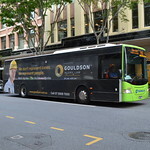 Click on the image to see the bus full size. 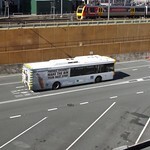 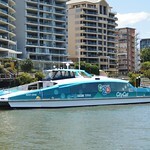 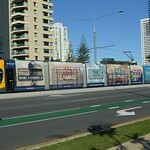 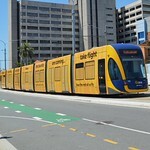 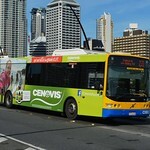 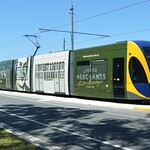 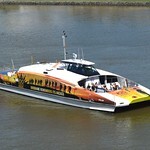 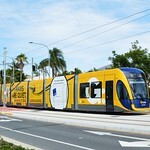 This page now includes photos from the Gold Coast Light Rail and Brisbane Ferries. 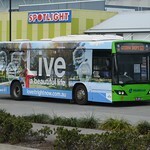 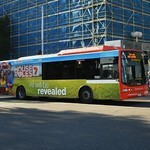 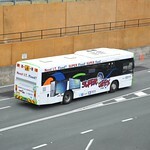 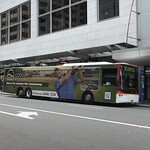 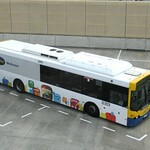 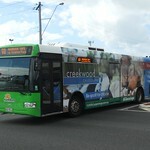 New bus and tram photos will be added when they are available. 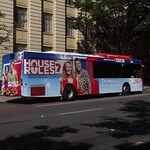 New photos were added on the 13th May 2015. 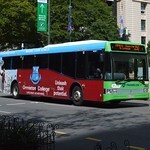 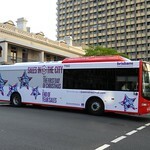 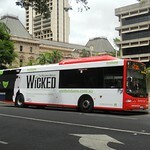 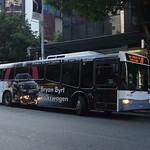 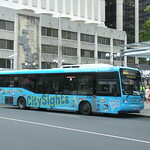 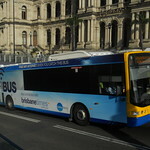 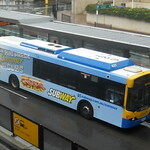 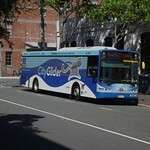 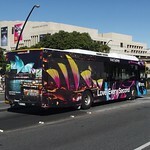 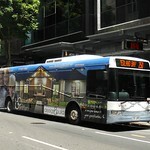 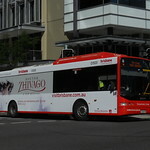 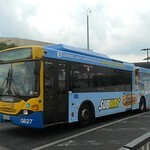 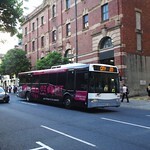 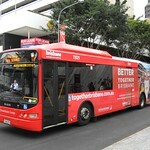 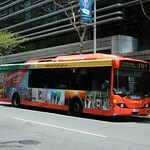 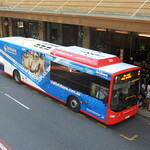 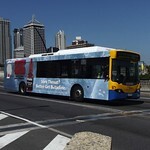 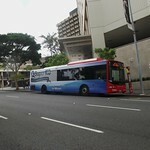 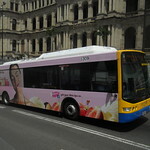 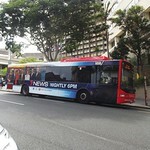 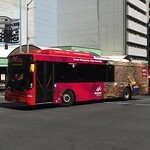 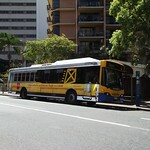 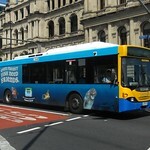 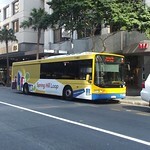 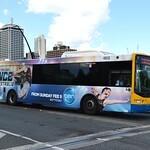 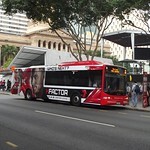 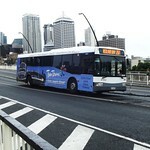 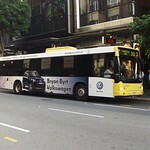 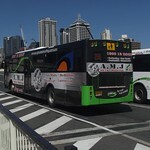 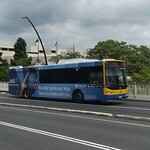 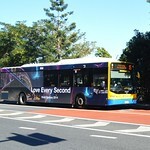 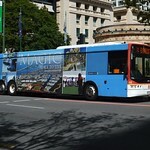 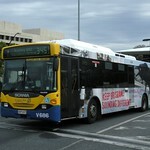 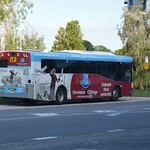 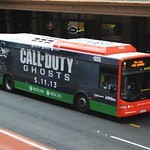 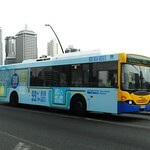 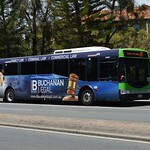 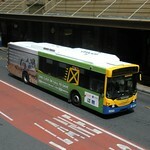 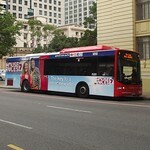 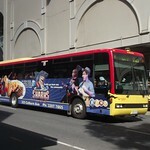 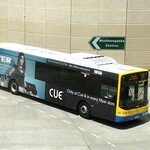 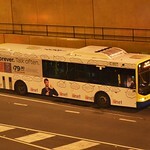 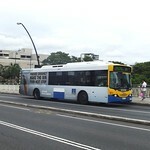 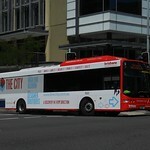 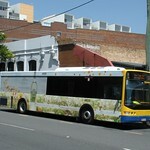 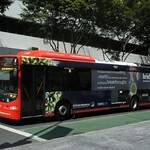 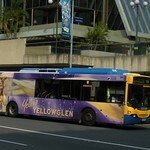 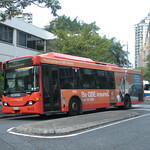 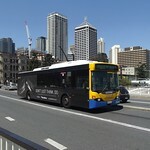 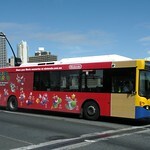 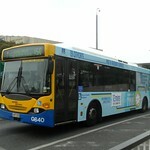 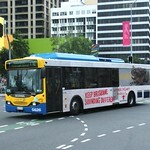 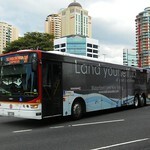 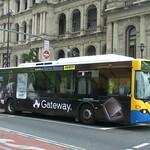 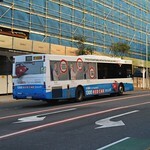 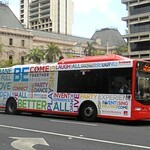 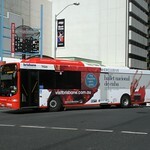 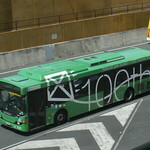 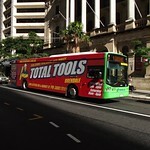 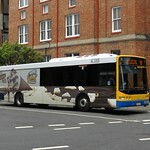 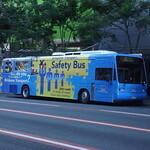 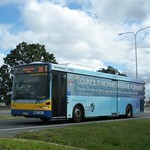 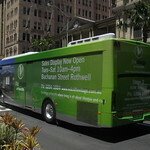 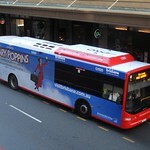 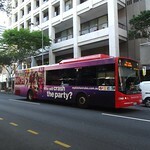 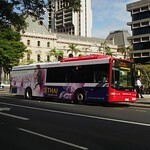 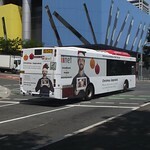 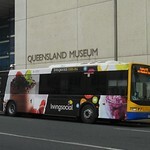 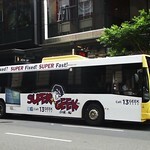 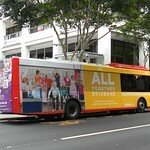 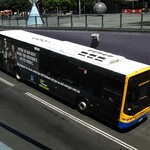 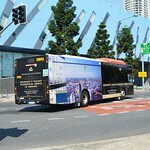 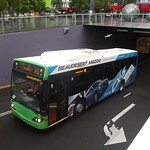 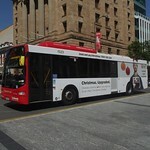 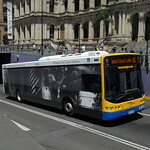 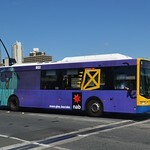 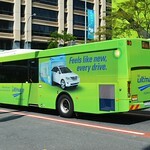 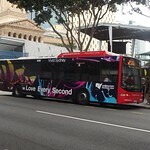 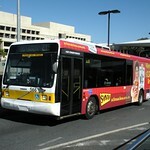 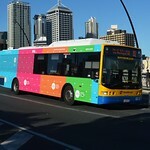 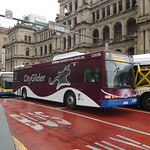 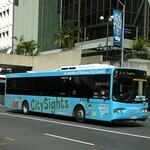 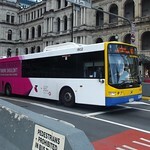 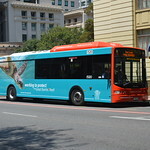 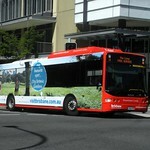 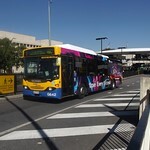 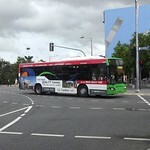 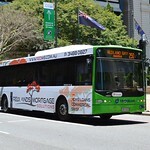 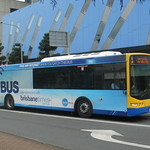 The Brisbane City Council operates bus services in Greater Brisbane under the title Brisbane Transport. 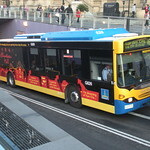 Many services now operate every fifteen minutes during the day under the BUZ (Bus Upgrade Zone) title, with extra services during the peak periods. 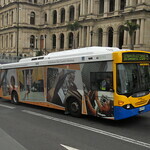 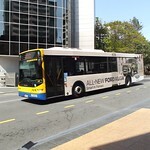 An order for 500 new buses over four years has recently been completed. 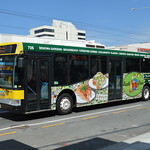 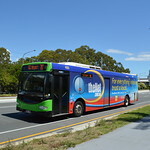 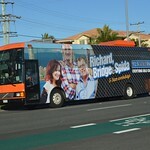 Park Ridge Transit mainly operates in the southern suburbs of Brisbane, with routes 540 from Beaudesert and 546 from Park Ridge operating into the city. 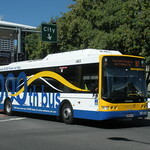 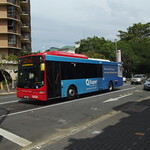 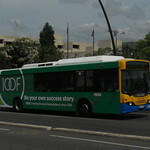 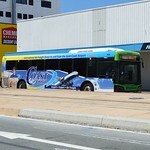 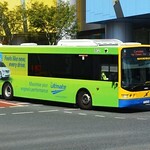 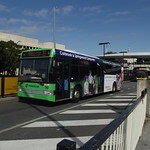 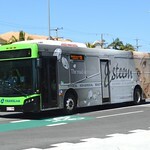 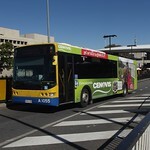 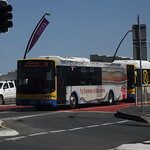 Hornibrook Bus Lines is based at Clontarf on the Redcliffe Peninsula, 30 km north of Brisbane. 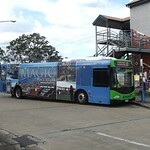 Another depot is at Lawnton, 20 km north of Brisbane. 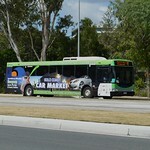 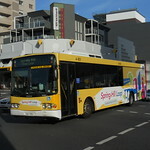 Hornibrook operates services in the Redcliffe Peninsula area with route 315 running from Redcliffe to Brisbane. 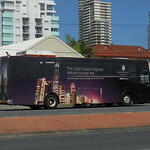 The Sunshine Coast is a very popular tourist area to the north of Brisbane. 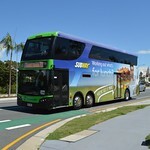 Sunshine Coast Sunbus operates services all over the Sunshine Coast from Noosa Heads to Caloundra as well as many hinterland services to places such as Landsborough and the Sunshine Coast university. 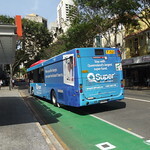 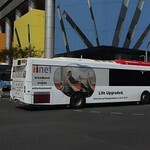 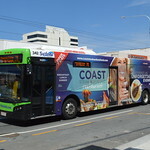 Surfside Bus Lines operates bus services all over Queensland's Gold Coast with services ranging from Beenleigh in Brisbane's southern suburbs to Tweed Heads, just over the New South Wales border. 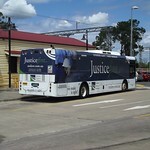 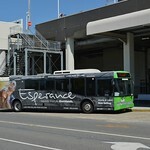 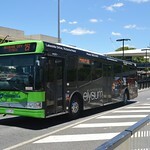 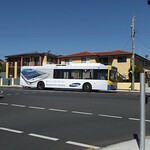 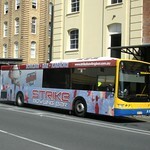 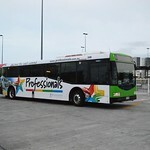 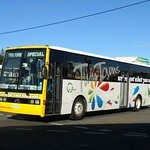 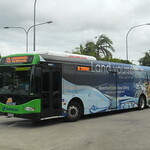 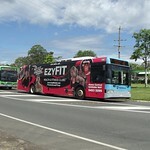 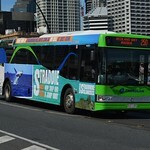 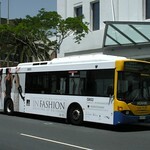 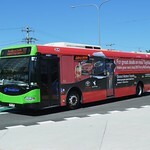 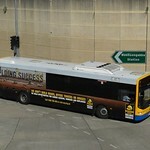 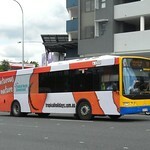 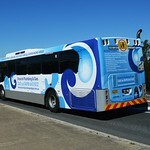 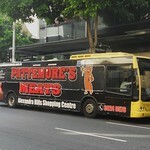 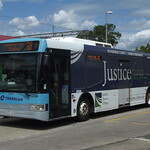 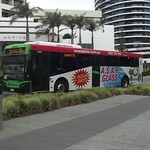 Surfside also operates bus services from Tweed Heads to Murwillumbah, NSW. 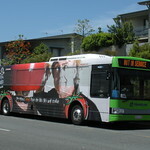 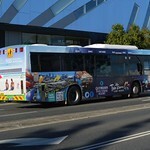 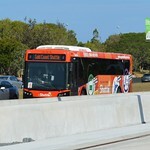 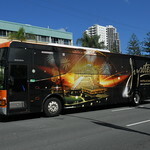 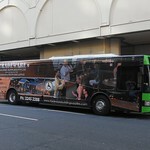 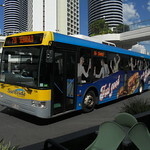 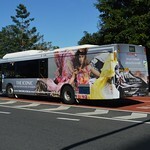 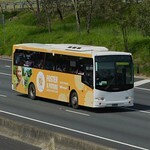 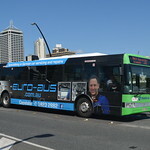 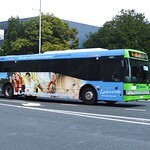 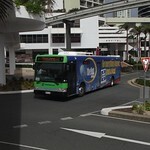 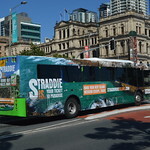 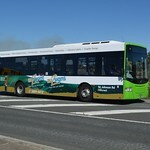 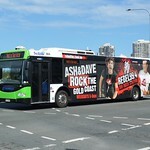 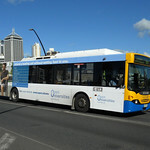 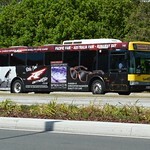 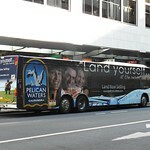 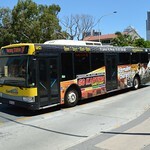 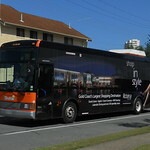 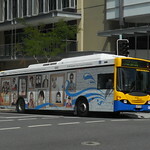 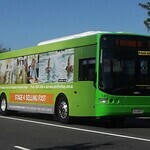 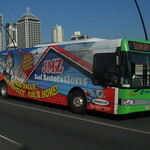 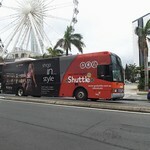 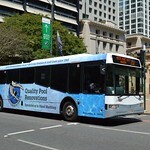 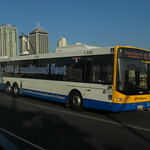 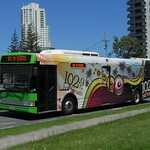 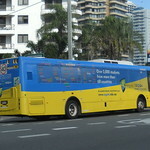 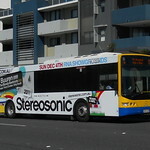 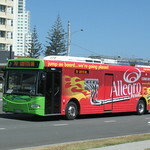 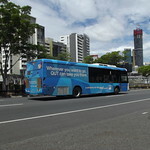 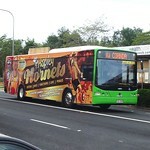 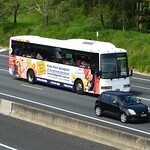 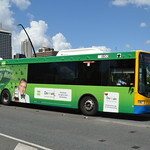 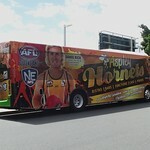 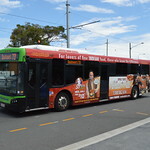 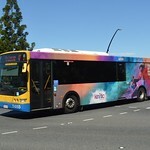 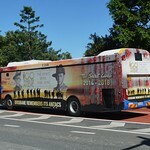 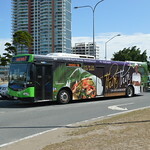 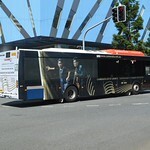 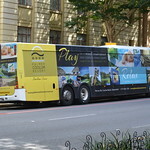 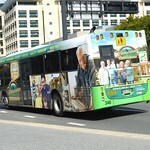 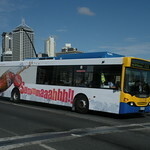 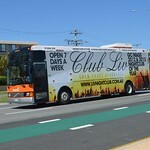 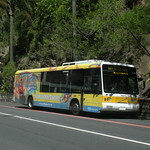 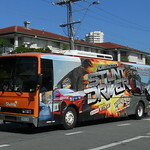 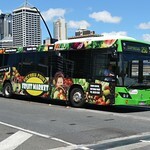 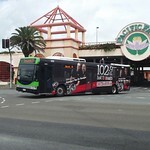 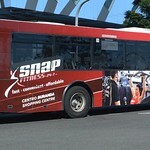 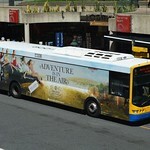 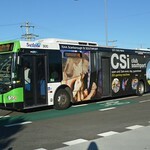 The Gold Coast Tourist Shuttle, operated by Surfside Bus Lines, can be found all over the Gold Coast conveying tourists on request from their hotels to Gold Coast tourist attractions. 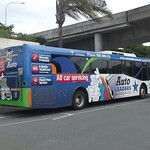 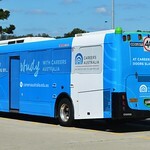 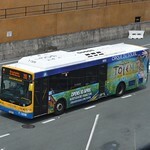 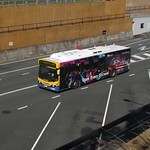 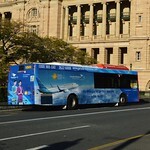 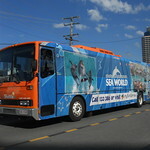 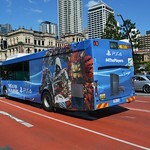 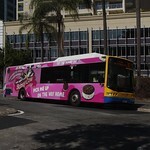 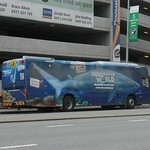 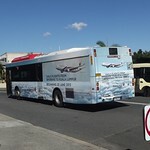 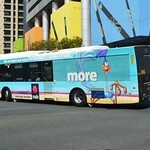 These buses can be found anywhere from Southport to the Gold Coast airport at Coolangatta as well as the various theme parks such as Seaworld, Warner Bros. Movie World and Dreamworld. 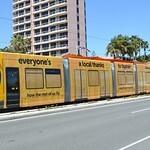 Stage One of the Gold Coast Light Rail operates a 13km route from the Gold Coast University Hospital at Parkwood through Surfers Paradise, terminating at Broadbeach South. 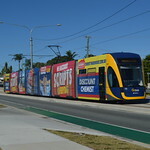 Fourteen seven section Bombardier Flexity 2 trams fitted with surfboard racks operate services. 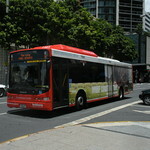 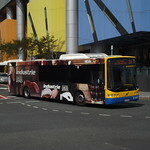 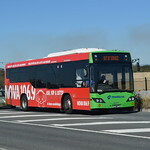 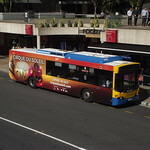 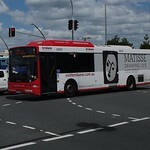 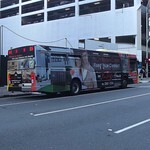 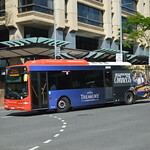 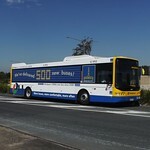 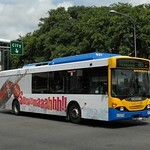 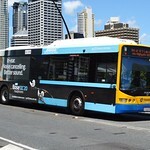 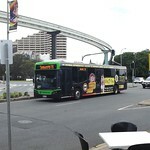 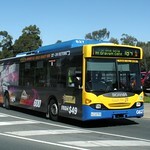 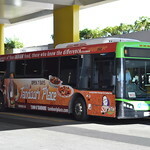 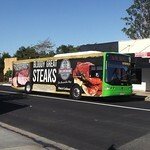 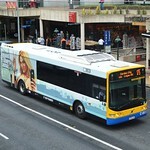 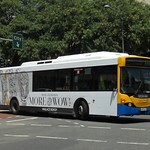 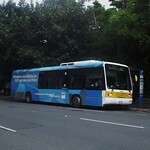 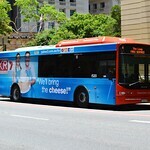 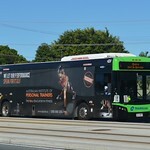 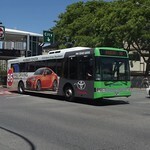 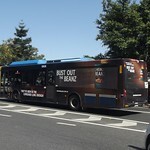 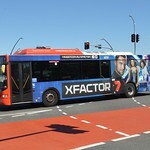 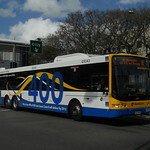 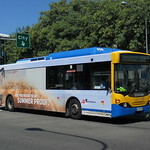 Transdev Brisbane operates services from the Moreton Bay area in the eastern suburbs of Brisbane. 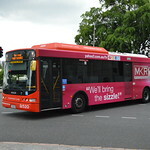 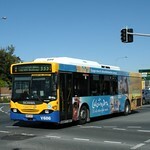 Their two routes to Brisbane are route 250 from Redland Bay and route 270 from Victoria Point. 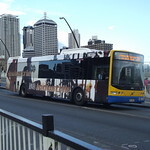 Ipswich is 38km west of Brisbane. 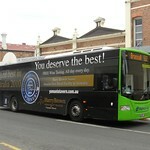 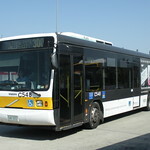 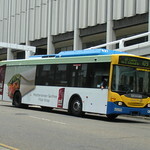 The Westside Bus Company operates all local services in Ipswich.